Did you know that building a skyscraper is complicated? 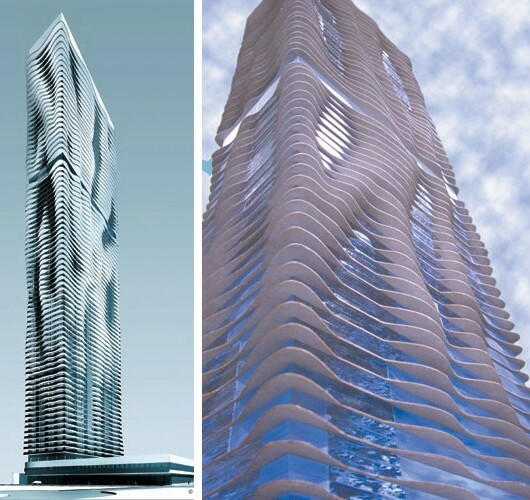 Does this not bode well for Jeanne Gang’s Aqua Tower? Thank you! That’s good to know. Is that an exclusive? 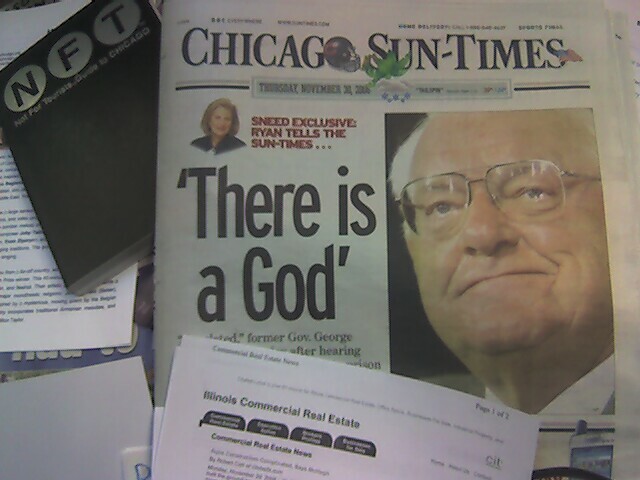 Oh, the small print says that’s former Illinois Governor George Ryan saying that. Yes, I suppose building an 82 story building would be complicated, especially one that is trying to do something different than the standard big box. The perimeter of the building is different on every single floor. The framing of each floor will be difficult, as the balconies will be cantilevered off of the column line, and cannot hold support for upper floors. The story then says that McHugh will use a high-flying form system that attaches to the column and core wall to complete each floor and that the tower is expected to be completed by 2009. But before then will we wave bye-bye to Jeanne Gang and Studio/Gang/Architects design for a wavy exterior? 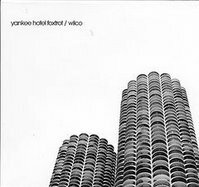 Wilco Towers, I mean Marina City. I bet that was complicated too, don’t you think? And hey, Marina City on the river kind of undulates, doesn’t it? More on that, right here. Since its founding in 1897, Chicago-based James McHugh Construction Co. has earned its reputation as a builder of landmark, one-of-a-kind structures. This success is attributed to the company’s long-standing commitment to creative construction solutions, innovation and a devotion to its staff. You are currently browsing the archives for the McHugh category.